The foundation of the modern internet is built upon open source software. According to Nadia Eghbal’s report about the unseen labour of open source software development, more than 95% of the internet software today relies on free, public source code. This is also known as “open source” code. Viewed in this regard, the open source code is not too different from public infrastructures such as roads and bridges. However, unlike public goods, there is currently no existing framework as to how open source software projects should be maintained. Since most open source projects rely on free labour, we argue that there is a considerable gap between the extraction of value from open source community and the support such as fundings and labour protection the community receives in return. For example, Arash Payan, the creator of Appirater – a library that helps developers quickly create a notification prompt where the app user can quickly rate the quality of the app, is used by Instagram. Arash created the library in 2009 and has been maintaining the code and fixing bug requests since. He reported that he never receive any income from the project. In this way, it could be argued that major tech monopolies extract an unproportionate amount of value from the open source community. They have built businesses that generate a vast amount of profit. The money never leaves the company or the shareholders despite the fact that much of the value they created stem from the work of free labour in the open source software community. Open source software, contrary to its original purpose of fostering free and fair technology economy, is now being used as a mean to redistribute the wealth internally. Prior to the proliferation of open source software movement made possible by the advancement of the internet, all codes that were written to create a piece of software had to be paid for just like any other work. This means the income in the technology sector was at least distributed through various parts of the economy, resulting in less concentration of wealth. This predicament is not too different from how Tiziana Terranova interprets the reality of the contemporary digital economy. She argues that such over-reliance of the digital economy on free labour “is a pervasive feature of the post-industrial economy”, and that “the over-reliance of the digital economy on free labour is part of larger mechanisms of capitalist extraction of value which are fundamental to late capitalism as a whole” (Terranova, 2004: 74). In their defence, tech monopolies pushed back against the notion that they rarely contribute to the open source community. Todd Moore, the vice president of IBM Open Technology that IBM has been contributing to open source projects since the early 1990s. 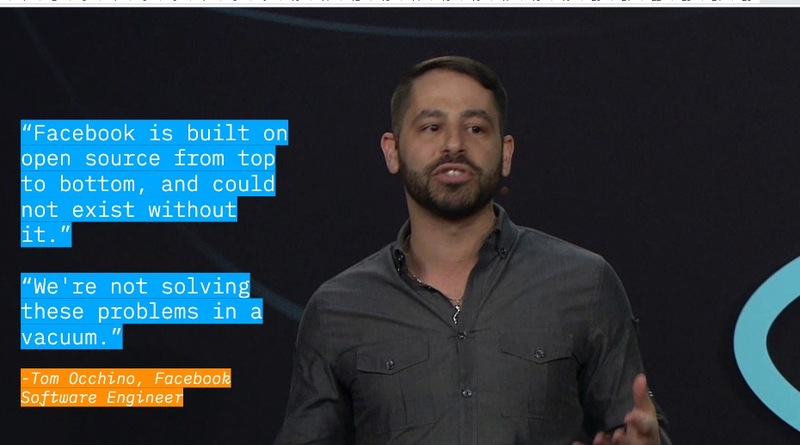 In addition, he said that IBM funded every major open source foundation for the last 10 years. Likewise, Chris DiBona, director of open source at Google highlighted that Google is participating in over 2,000 projects on GitHub and has more than 1,000 programmers working on these open source projects concurrently. 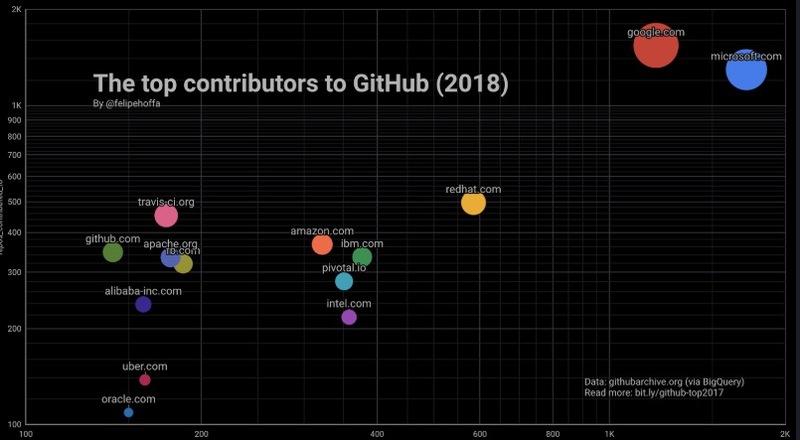 According to the data from GitHubarchive.org in 2017, Google and Microsoft are the two largest contributors in GitHub in both number of projects and the number of contributors. Such rebut follows the line of argument in The New Spirit of Capitalism, where Chiapello and Boltanski argued that one method of capitalism to survive is to “absorbs aspects of anti-capitalists critiques into itself”, thus find new ways of legitimating itself in the eyes of the society. Indeed, through the championing of open source development narrative, tech monopolies have reshaped the public perception of open source software development in such a way that working for free is not seen negatively. Instead, it makes it desirable through the fact that those with open source development background is considered a high-value asset to the technology sector. It is true that tech monopolies contribute to the open source community. The question is if it is enough? Jacob Kaplan-Moss, the creator of Django framework asked that if GitHub, which was sold to Microsoft for $7.5 billion last year, truly cared about the community, it should relinquish as much as half of the buyout to those ‘free labourers’ that have built and maintained GitHub in the first place. How tech monopolies accelerate income inequality? According to the research by the Wall Street Journal, the rise of income inequality in America originates from the difference in wages between top performing firms and the rest. Notably, the top performing firms distinguished themselves through the utilisation of their own proprietary software. 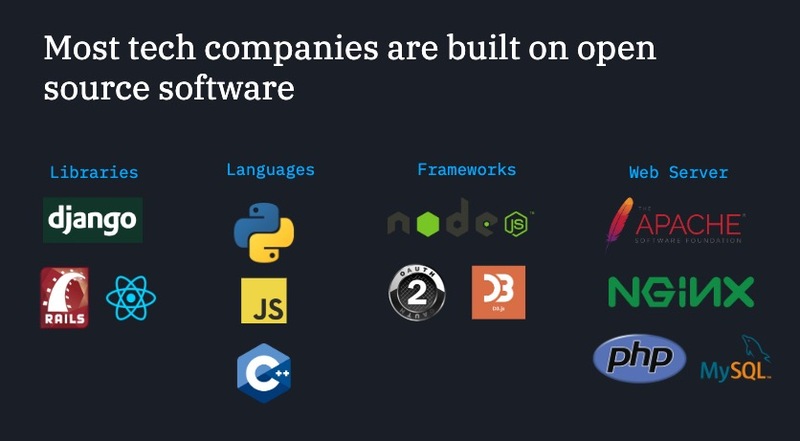 What was not mentioned is the fact that this proprietary software is indeed built upon the open source foundation just like how Facebook and Amazon built their technology stack. The more investment in this software, the higher the income disparity between the top performing firms and the rest. While major tech firms collected fortunes through IPO and venture capitals’ investment, less and less open source software developers are paid for their work. A number of suggestions have been made as to how we should combat platform monopolies. This includes the use of Antitrust laws to break up monopolies, tighter tax regulations to prevent tax avoidance. Postcapitalist writers such as Nick Srincek and Paul Mason have pushed for even more drastic measures such as public ownership of technology platforms. In principle, the public platforms might be easier to monitor and to account for. Nevertheless, it is not a realistic approach in the existing capitalist economic environment. Furthermore, laws such as Antitrust show how technological advancement has far outpaced government regulation on business. The Antitrust laws hinge on the fact that the act of monopoly must severely affect the wellbeing of the consumers. On the contrary, it is apparent that most platform users love these platforms. This is reflected through Amazon, Facebook, Google’ millions of daily active users. Mandate the use of open standards and open source competitor: All solutions must have open source alternatives before being implemented. For example, the Bavarian government switched the government operating system to Linux in 2018 to avoid being subject to Microsoft’s monopoly on software. While the project was not entirely successful, it provided a good framework as to how open source alternatives could be used as a countermeasure to software monopoly in the future. Data Interoperability: Platform users must be able to transport their personal data through standardised protocols. This would significantly reduce the switching costs for consumers as they could more easily compare services. 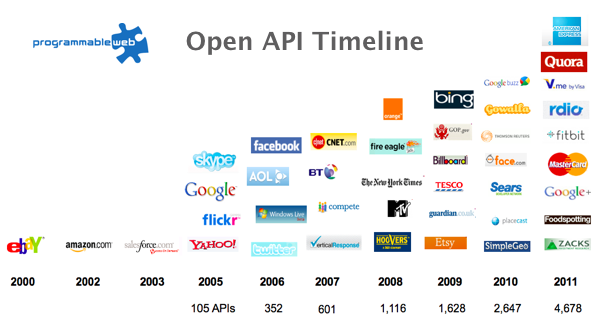 API Disclosure: API disclosure would have a similar effect on the developer side. For example, if Uber’s driver rating could be exported to other similar ride-hailing services, it would have the effect of reducing the lock-in effect of Uber platform. This empowers the small independent developer to compete against large tech firms through better consumer services instead of being locked out of the market through data walled garden. It also reduces the severity of free labour extraction from the open source community since small scale developer could benefit from the work of the large tech firms. The creation of open source foundation and trade associations: The government will mandate that tech firms at a particular market capital size must contribute a certain percentage of their profit back towards the open source community through grants and research fundings. There are a handful of foundations that oversee major open source project but they could use the government support and regulation to ensure every developers and project get paid fairly and on time. While this solution is open to politics and abuse, the foundations are at least accountable, unlike the private international tech conglomerate. Unlike antitrust laws which seek to breakup a large monopoly, these alternative solutions offer ways in which a monopoly could be deterred from within. Enforcing these suggestions would limit the monopolisation of resources, producing a fair and equitable technology world. It would increase investment in open source community that could benefit everyone. Eghbal, N, (2016). Roads and Bridges: “The Unseen Labor Behind Our Digital Infrastructure”. New York: Ford Foundation Center for Social Justice. Mason, P. (2015). “Introduction” & “Chapter 9: A Rational Case for Panic” & “Chapter 10: Project Zero” from PostCapitalism: A Guide to Our Future. London: Penguin UK. Srnicek, N. (2017). Platform Capitalism. Cambridge, UK: Polity.